Wolves moved four points clear at the top of the Sky Bet Championship after a 4-1 drubbing of 10-man Leeds. Barry Douglas put Wolves on course for their seventh win in their last eight games in the 15th minute before Ivan Cavaleiro doubled the advantage after 26 minutes. Ezgjan Alioski gave Leeds a lifeline three minutes after half-time but their comeback hopes were dashed on the hour when central defender Ronaldo Vieira was sent off for a second yellow card. 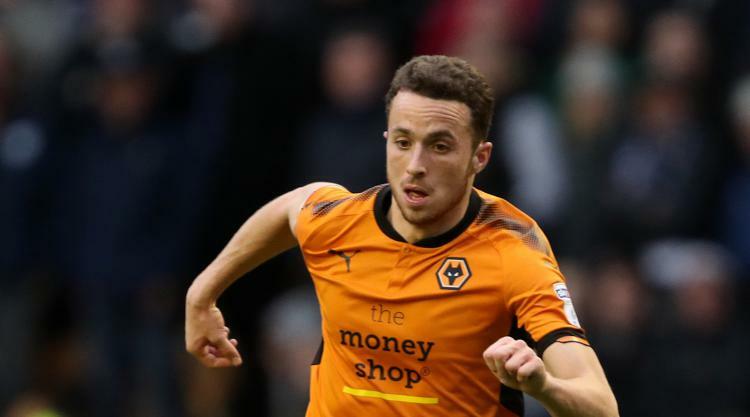 Diogo Jota restored Wolves' two-goal advantage in the 72nd minute before substitute Helder Costa converted a penalty shortly afterwards. Britt Assombalonga scored twice as Middlesbrough beat Birmingham 2-0 at the Riverside. The Â£15million striker struck both goals in the first half to take his tally for the season to 11. Assombalonga was on target with a header after 10 minutes and tucked away a cross from Fabio Da Silva shortly before the interval. He could have had a hat-trick after the break but Blues goalkeeper Tomasz Kuszczak saved his header. Atdhe Nuhiu scored a stoppage time equaliser as Sheffield Wednesday snatched a 2-2 draw at Ipswich. All the goals came in the second half with Gary Hooper's penalty cancelling out Joe Garner's opener for Town. Martyn Waghorn put the hosts in front again with 20 minutes left but in the fourth minute of injury time Nuhiu headed in Adam Reach's cross.